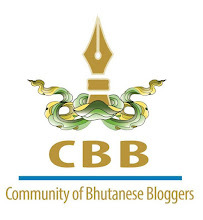 Thank you Kuensel for giving my blog a space on page 13, among strong bloggers like Prime Minister Tshering Tobgay and Au Yeshey Dorji. Congratulations Sir.. But then again, Why should I congratulate you? You were always popular la.. I wish you luck in your future endeavors. Dawa, such words help man grow, it makes us humble and responsible. There is no point in anybody's life where you don't need word of encouragement. Thank you. We shall dine very soon. 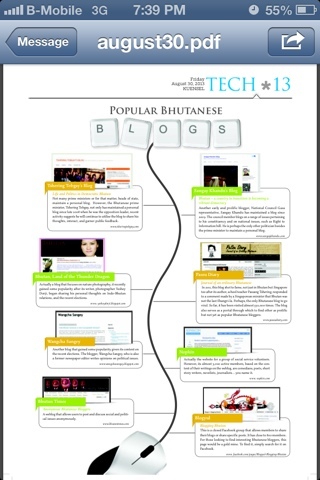 Good to see your blog on Kuensel. Keep going strong Passu Sir. I know you can lots bigger than this. All the best! I routinely check out your blog every morning for new articles. I dont know when exactly I started following your blog (I guess, i started reading your blog starting from your article on the response to the Singporean Minister) but from the day i started i never missed reading your articles. I must admit they are thought provoking, educative, informative - a delight to read. If viewership is to go by, i guess your Blog is the number one - When i started writing this short comment the total page view was just 548379 and it shot up to 548395 by the time i completed writing this (Took just about 5 mins to write this. Please keep writing and thanks for making me read. Thanks Riku. I really don't think I have anything bigger than this to offer, but I am happy my small things like this are noticed. Namgay, I am inspired to know that you have read all my articles. This gives me a very strong reason to be passionate about blogging. Thank you so much.